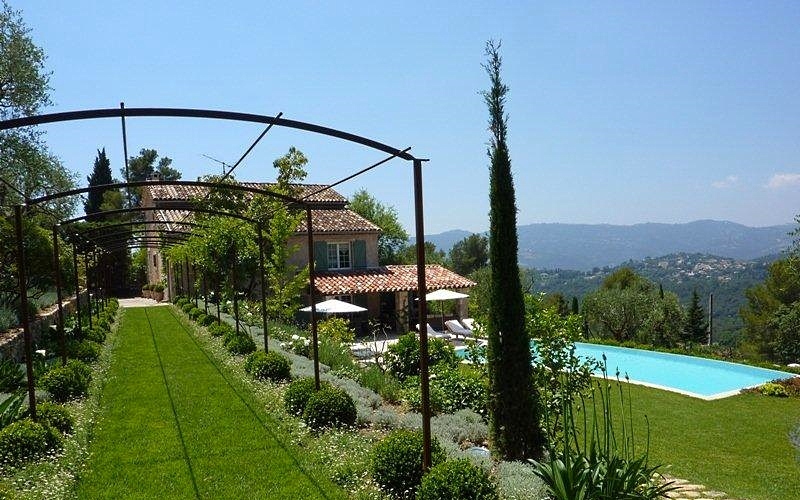 Extremely charming property in the heart of Mougins. 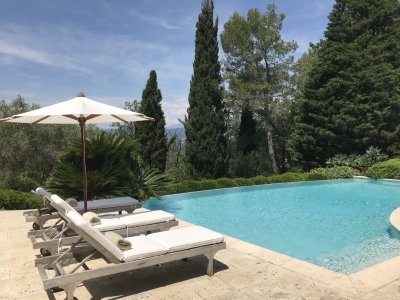 This villa in the heart of Mougins is in a wonderful location, calm and quiet with the most beautiful view over the hills of Tanneron and Grasse. 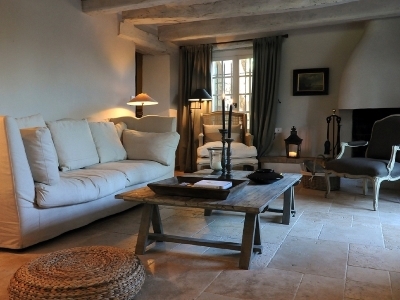 The property is in modern, chic country style with lots of Provencal atmosphere. Here you have complete tranquility and sun from morning to evening. Most of the time you spend around the pool and in the beautiful outdoor living- and dining room. The house is very tastefully decorated and comfortable for 1 or 2 familys with lots of space since you have 3 levels, with 5 bedrooms, 4 bathrooms, big kitchen, living etc. 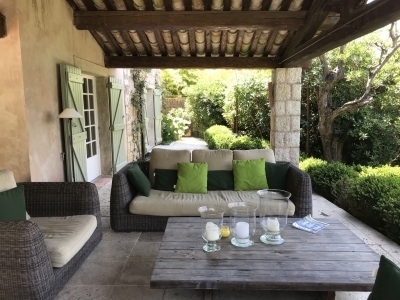 The best possible accommodation for you if you want beautiful, well cared for accommodation with plenty of space and you would appreciate the proximity of Mougins village, Cannes and the coast. Rooms: The house is on 3 floors. 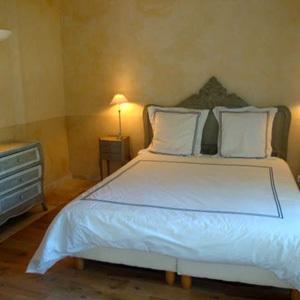 The top floor has 1 bedroom with double bed and 1 bedroom with single bed, sharing bathroom. 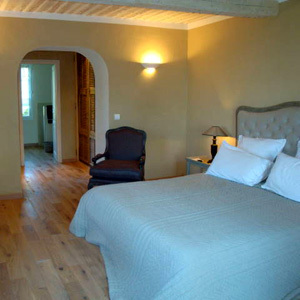 The second floor has a big master bedroom with dressing and bathroom ensuite and another bedroom with double bed and ensuite bathroom. Entrance floor has a big kitchen with dining area, living room with fireplace and windows leading out to the outdoor area and pool. Extra toilet. House size: Approx: 250 squarem. Standard/style: Classic, modern, very tastefully decorated. 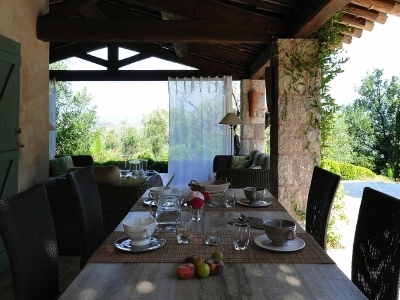 View: Hill view over Tanneron and Grasse..
Garden/pool: Big garden with lots of fruit trees, olives etc. Partly terraced but still space for children around the pool area. Nice, big pool and a lovely furnished terrace for dining and living. 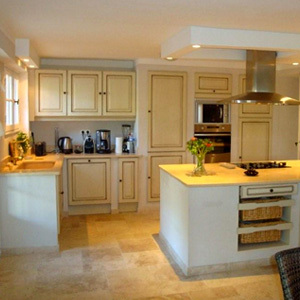 Facilities: Kitchen with dishwasher, microwave, fridge-freezer. Washing machine, TV, CD-player. Internet. BBQ. 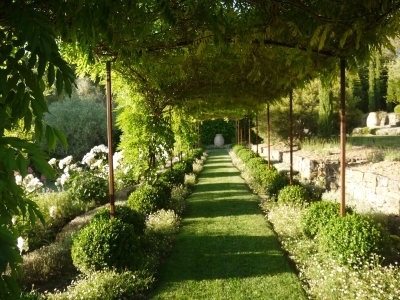 Location: 5 min drive from the classical village of Mougins. 15 minutes to Cannes and the whole coastline of beaches. Peaceful location in residential area. Near to food shops, bakeries, etc. 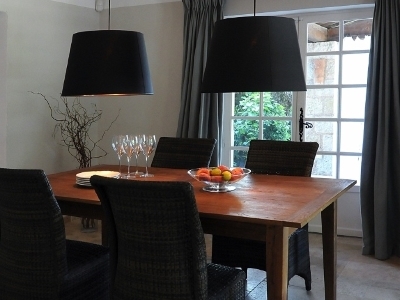 Entertainment/shopping: Mougins offers many restaurants, art galleries and small boutiques. In Cannes you find everything including exclusive shopping, restaurants, night clubs and beach life. 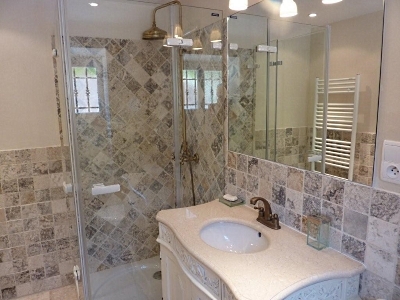 Bathing: 10-15 minutes to the beaches in the area of Cannes, Mandeliue, Golfe Juan and Antibes. Golf: 10 minutes to some of the Riviera’s most attractive golf courses. Available to rent all year round. Arrival Saturdays 16:00, departure Saturdays 10:00. Smoking indoors is not allowed.